Omega does not stop ... .Does not seem to stop the avalanche of more technological innovations by Omega. 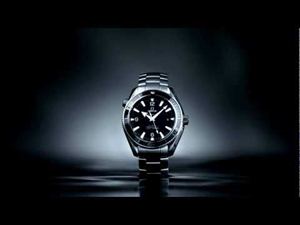 Does not seem to stop the avalanche of more technological innovations by Omega. This metal alloy, specially designed by the team and long product development with researchers at Swatch Group, is of the amorphous type, and is characterized by a non-crystalline atomic structure and irregular, whose melting point is lower than that of plenty normal titanium alloys. The Liquidmetal, once cooled, it reaches a hardness equal to three times that of stainless steel. Then thanks to its particular structure, is able to adhere perfectly with the high-tech ceramics, and then becomes extremely valuable for the construction of the ferrules and of the lunettes, whose constructive material contains, as this new alloy, zirconium so that it facilitates the fusion. Liquid metal also a slow cooling process, which favors the modeling in a thickness not exceeding one-tenth of a millimeter, which makes them useful in watchmaking.